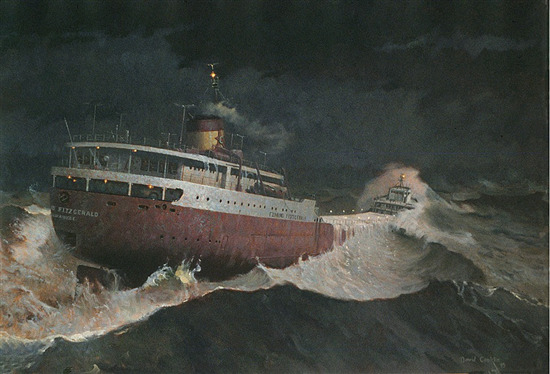 September 5, 2019 (Thursday) - 7:00 p.m.
"Edmund Fitzgerald - The Story, The Song"
Retired from a radio and television play-by-play career that spanned 26 years and more than 1,500 broadcasts in the National Hockey League and professional baseball, Mike’s musical interests now blend the woods, the water and the wildlife with the North Country music you’ll hear in his shows. 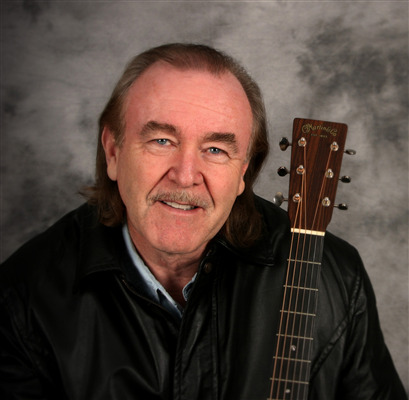 His portrayal of Gordon Lightfoot is simply an honest effort to entertain with an accurate representation of a Lightfoot concert. Mike plays the role of “Gord” in first person, yet avoids saying “I” or “me” in his storytelling of the songs and the circumstances of how they were written. Mike's tireless research and personal interaction with Lightfoot have lead to accurate mannerisms, speaking patterns, clothing, and of course identical guitars used by the Canadian icon on stage. Rarely does he break character, usually only to give a personal message before the conclusion of the show. He has performed for a decade at the Great Lakes Shipwreck Museum’s annual bell-tolling ceremony for the lost souls of the Edmund Fitzgerald at Whitefish Point, Michigan. His interaction with surviving family members of the lost crewmen, and Lightfoot himself, generate many first-hand accounts of the tragedy and of how the iconic song was written. If you have read Mike’s newspaper work, heard him on the radio, seen him on TV or read any of the four books he has written about Michigan’s Mackinac Bridge or the U.S. Coast Guard cutter Mackinaw, his love of the Straits of Mackinac area is clear. On stage, he demonstrates his love of a genre of timeless music that captured millions during the 1960s, 1970s and 1980s. His catalogue of Gord’s music includes 76 songs that he chooses from in concert. Mike tours annually and will play more than 60 shows in five states and Canada this year. Seating limited to first 100 people to arrive.